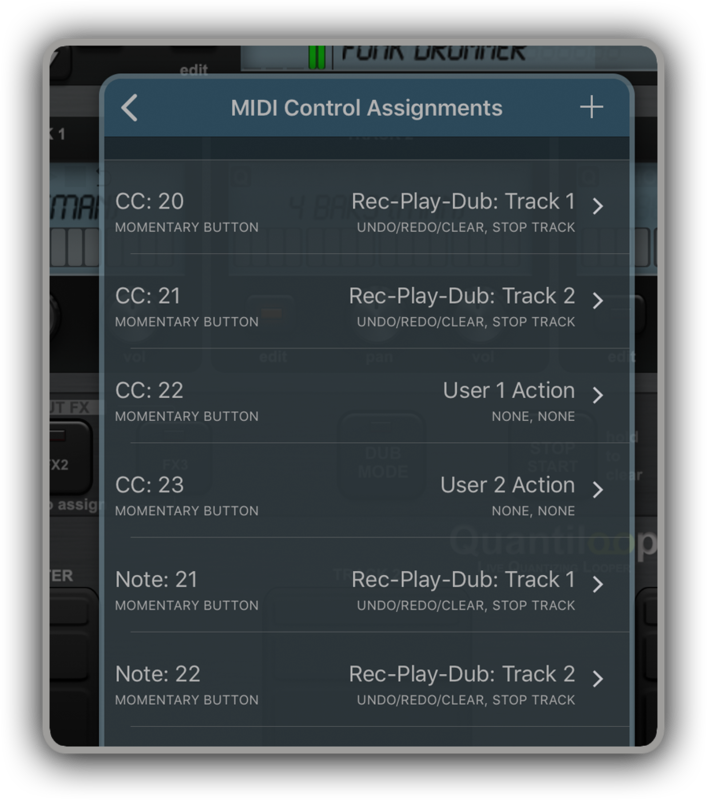 Create up to 4 tracks with endless layers of overdubs to build your performance. Create a 1 bar percussive loop on track one, a 4 bar chord progression on track two and layer a bass line on top in parallel style and play all in perfect synchronisation. Record a Chorus, Verse and Bridge in each track using serial style and switch between them seamlessly, or use the mixed-mode to create a percussive master track that play’s in sync with your chorus, verse and bridge. The builtin rhythm guide provides a rhythmic backing. 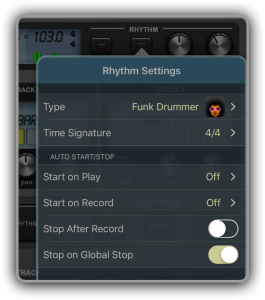 Use the internal metronome for practice, import drum loops from virtually anywhere or host and control your favourite rhythm apps to enhance your performance. Ableton Link you lets you even play in time with external apps and devices. Quantisation aligns your actions to the nearest measure or beat so you stay in time, and real-time tempo control sets the pace. Prefer setting your own pace, disable quantisation and Quantiloop will react to your actions with minimum latency to create tight synchronised recordings. MIDI clock master lets Quantiloop control your favourite app or hardware device. MIDI slave lets Quantiloop follow the pace of your drum machine. 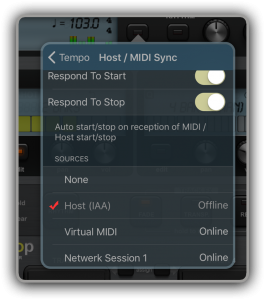 Inter-App Host sync follows the tempo of your DAW. Quantiloop will start and stop together with the host/master. And Ableton link lets you sync wirelessly to other apps. Absolutely no excuse to be out of sync. Lay down a percussive loop or use the rhythm guide to practice your timing. Record a 12 bar blues progression and practice your soloing skills, or import your favorite backing track from the music library, the cloud or any other app and jam along. You can store your phrases in an empty preset slot so you can pick up where you left off the next day. Quantiloop will be your favorite session partner that never lets you down. Input FX lets you assign up to 3 simultaneous effects to the input. The processed audio will be recorded into your track(s). Use the transpose effect to convert your guitar into a bass or add some compressor to your voice. 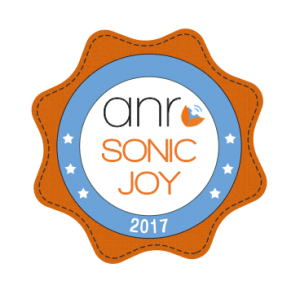 You can even host your favourite Amp Sim or any other Inter-App audio or AUv3 effect. 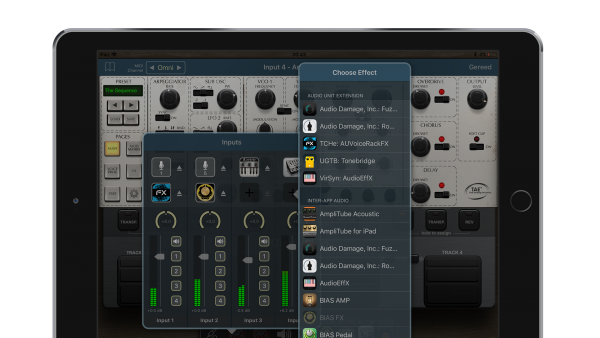 Output FX lets you assign up to 3 simultaneous effects to the output. FX can be applied to a single track, all tracks or the combined output. FX included are tape-stop, fade, reverse, transpose and more. Use the tape-stop to add some drama or introduce a key-change with output transpose. And of course you can host your favourite Inter-App audio effect or AUv3 as a track effect as well. Each effect can be triggered by MIDI so your hands are left free. 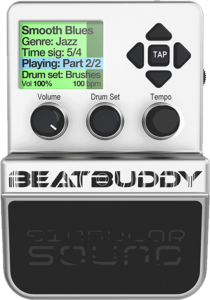 Quantiloop is the only looper that has full support for the Singular Sound BeatBuddy. You may control all of the Beatbuddy’s functionality from within Quantiloop. 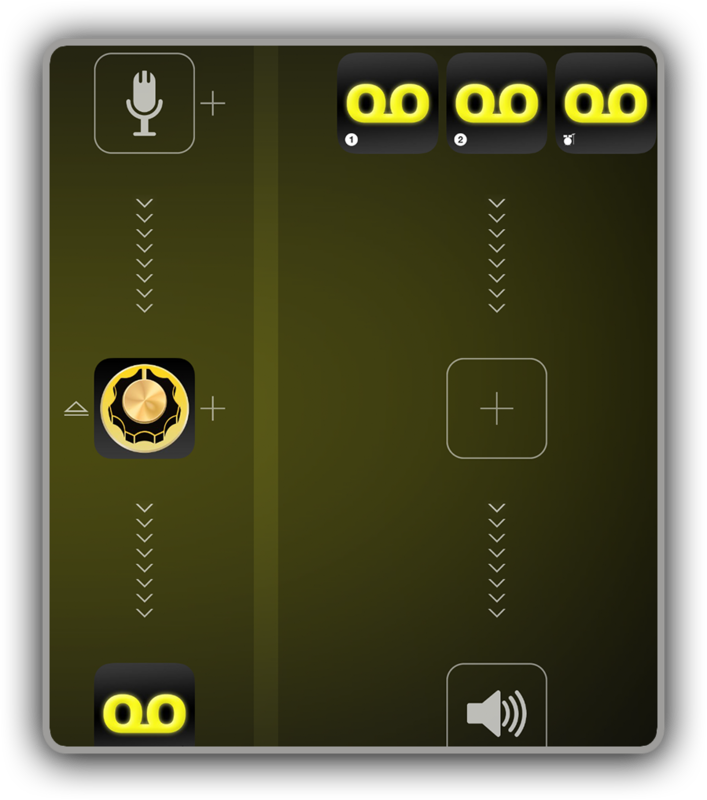 Tracks are cue’d until the Beatbuddy finishes it’s Intro, and Transitions are automatically triggered when switching tracks. Tempo and Time Signature are automatically in sync. Fills can be triggered on looper start/stop. 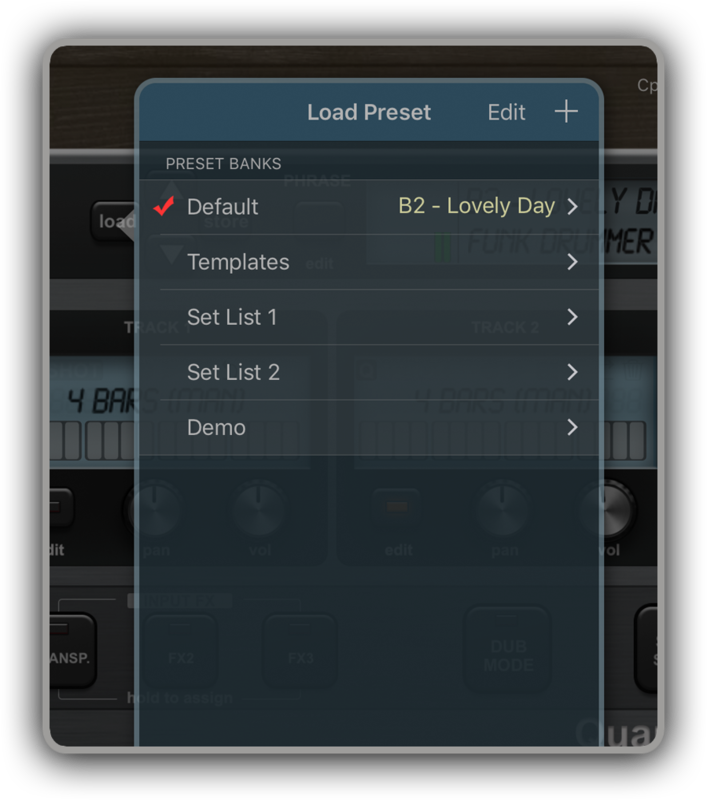 Quantiloop even lets you select the Beatbuddy’s Song and Drumset as well as store it in your preset. Humbly inspired by Ed Sheeran‘s custom Chewie Monsta loop pedal, Dub Mode reduces the need for tap dancing and accidental overdubs. When disabled overdubbing is disabled, allowing you to easily start and stop individual tracks without the need for double taps or dedicated stop buttons for each track. As it disables overdubbing it also avoids accidental overdubs, and lets you choose between overdub after record or play after record. With dub mode enabled just press the track button to overdub, or the dub mode button to disable dubbing and start playing. Quantiloop does support but does not require any external host or Audiobus to connect to your hardware or software instruments. It offers fully integrated support for Multi-Channel Audio Interfaces up to 24Bit/96Khz. 4 Inputs with optional insert effect let you connect to your physical gear, Audiobus, Inter–App Audio and AUv3 instruments. Each input has it’s own volume/gain and pan controls and can be routed to any track independently. 8 Individual Outputs (Main, Monitor, Track 1-4, Rhythm, Input Passthrough) can be routed to your Audio Interface, Audiobus or Inter–App Audio host. The rhythm/metronome can be excluded from the Main Mix so your audience doesn’t hear your guide. MIDI controller assignments let you assign tap, hold and double tap actions to each controller, so you can control the looper the way you want. Assign all actions for a track to one controller or if you prefer a separate controller for stop, undo/redo or clear, split them between multiple controllers. It is all up to you. 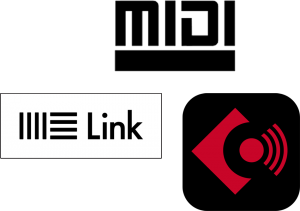 Technologies like Audiobus (2 and 3), Inter-App-Audio, AUv3 Audio Unit Extensions and Ableton Link enable you to connect to virtually any app or device. 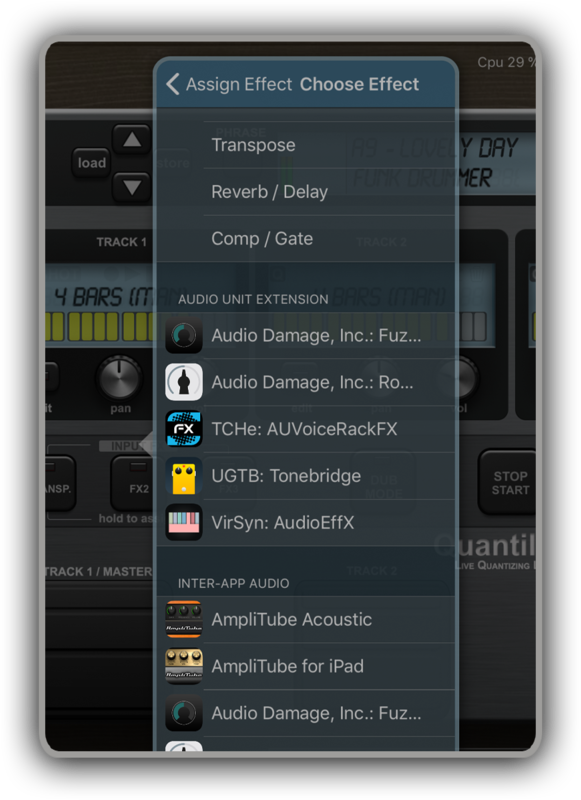 Host Quantiloop in the effects chain of your Amp Sim, connect different fx processing apps to each of the individual Audiobus ports, or route them to your multi track recorder. The possibilities are only limited by your imagination. Manage your set lists in banks. Create a bank for each setlist. Assign a midi controller to move between presets within a bank (or setlist if you prefer). MIDI Program Changes are supported as well. No hands required when your on stage. Unique Arm-Mode lets you decide what plays. Send start, stop and host sync to hosted rhythm apps. Compatible with iPad 2, iPad Mini and higher (iPad Retina or higher recommended). Compatible with iPhone SE, iPhone 6 and higher (iPhone 6 or higher recommended).